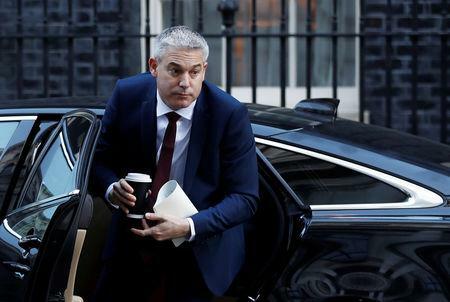 LONDON (Reuters) - Britain will leave the European Union next month without a deal unless the European Union offers concessions that will allow parliament to back Prime Minister Theresa May's divorce deal, Brexit minister Stephen Barclay said on Thursday. Barclay said legislation passed last year means Britain will leave the EU on March 29 at 2300 GMT with or without a deal takes precedence over a motion passed by parliament last month ruling out a no-deal Brexit. 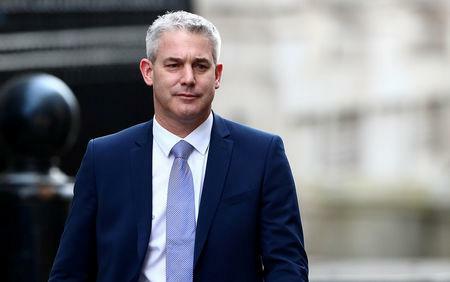 Parliament "has passed legislation that we are leaving on 29 March and it put that date on the face of the bill by a large margin," Barclay told parliament. "The legislation, frankly, takes precedence over that motion."